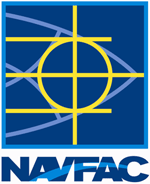 NAVFAC's Environmental Program provides high quality, timely, cost effective and efficient environmental support to the Navy, the Marine Corps, and other clients. Environmental management is the means of conserving, protecting and restoring the environment and natural and cultural resources for future generations. We offer sound environmental management and technical support necessary for Navy and Marine Corps compliance with federal, state, local and host nation regulations. We strive to continually improve our relationship with our clients, regulators and other stakeholders through focus on common operational goals, sharing of information regarding our products and services and availability of a highly skilled environmental workforce. Good environmental management can enhance the ability to accomplish assigned missions as well as improve community and public relations. Our staff of engineers, scientists, environmental professionals, technicians and management professionals is organized to be responsive and to provide quality and innovative products and services.